BIO-PACK S.L. 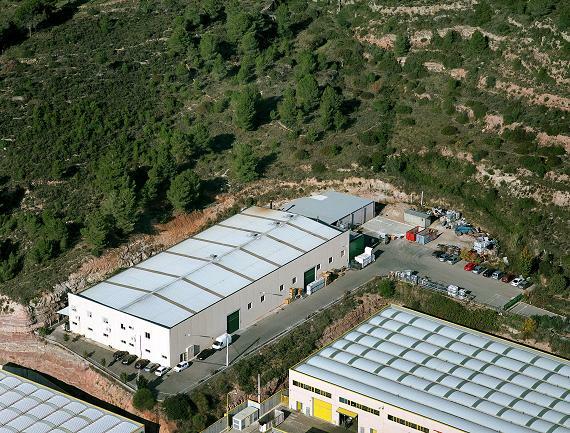 began its activity in 1985 establishing in a bay of 600 m2 in Monistrol de Montserrat (Barcelona). His initial activity was the manufacture of adhesive tapes for packing, either printed in the inner part or non-printed. In 1996 it was invested in new machinery and the factory was located in a new industrial bay of 1800 m2. Then BIO-PACK, S.L. began a new plan of expansion towards other markets, based on a good relation quality - price. Manufacture is divided into different areas: packing, labels, papers, isolation and general adhesive special tapes. All our final products derive from the bobbin mother – which can be made from polypropylen, aluminium, PVC, paper..., to that it adds acrylic ecological adhesive. One of the most guidelines of the company is that a production is realized supporting a commitment with the environment. With this intention technologies of recycling are combined with each of the productive processes. 2001 during one of the most important snowfalls remembered in Monistrol, BIO-PACK, S.L. was in the difficult task of moving to a new bay of 4000 m2 that it had been acquired. This is where we are placed nowadays next to the train-zipper which goes to Montserrat abbey, which enables work surrounded by the wonderful landscape of this peculiar clump of so singular forms. Our main aim is to move forward ourselves to the national and international market thanks to our flexibility and capacity of innovation of products and processes attending to the needs of our customers.